Author Gladys Deloe (at table) reads from her “Exploring” curriculum to children this Saturday morning at the Tree of Life Bookstore in Winona Lake, Indiana. 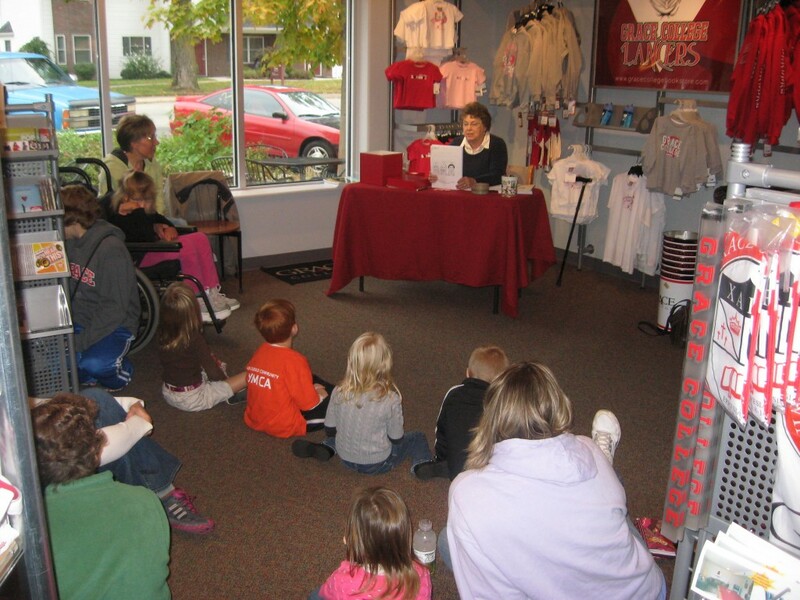 Gladys Deloe (seated at table), founder of Grace in Action USA and author of “Exploring: Life Skills for Kids Ages 5 and 6,” read from her work this Saturday morning at a public reading and autograph signing at Tree of Life Bookstore in Winona Lake, Indiana. Accompanying the curriculum is a series of after-school clubs, now being directed by upper-division Grace College students, to assist children to “Discover” and “Achieve” in basic life skills.